Mitzvah Day brings thousands of us together to give our time, not our money, to charities which need us. 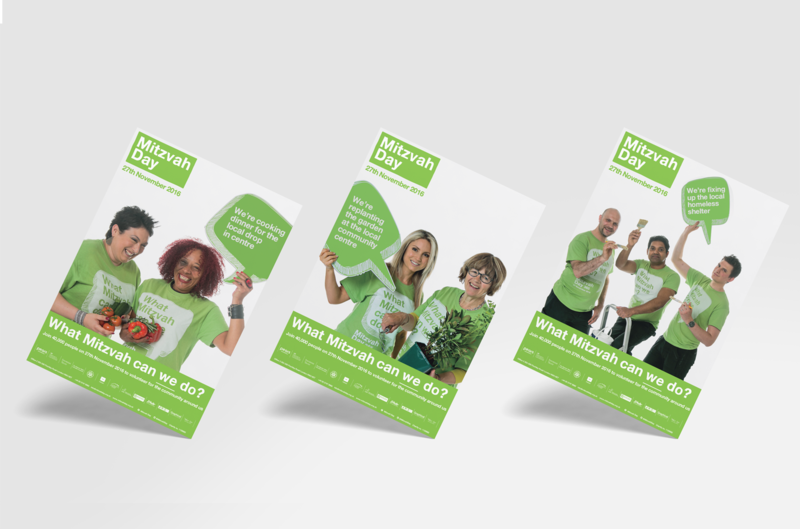 A Mitzvah, literally, is a commandment in Jewish law and it is often used to mean a good deed or an act of kindness and that is the basis for Mitzvah Day. It is an integral part of Jewish life. Graphical created the brand identity around the core idea that each and every one of us; as a collective, should feel compelled to be part of by asking the question; “What Mitzvah can we do?” And it is this question that really gets to the heart of what Mitzvah Day is all about – a community wide effort to make a difference to those charities that need us. 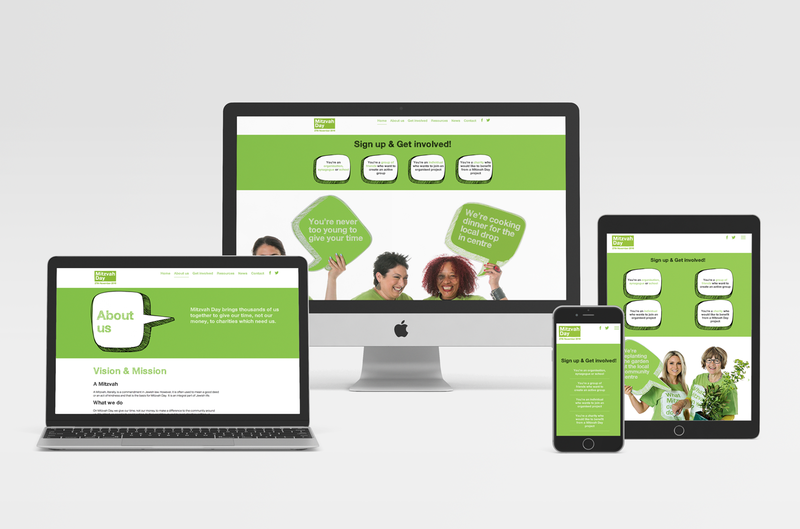 Mitzvah Day own the colour green and it is applied liberally on everything from t shirts and bags, to posters, beanies, bunting and website.